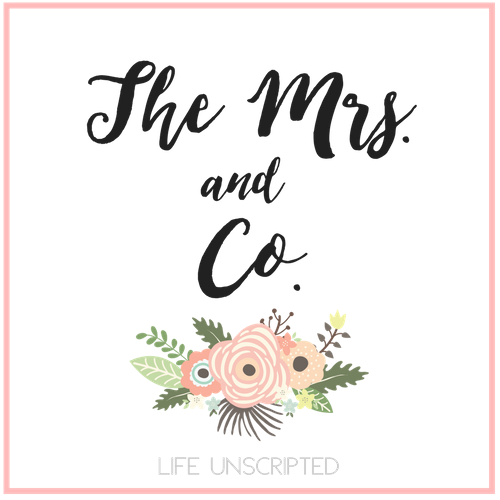 Christmas Card Link Up - The Mrs. & Co. 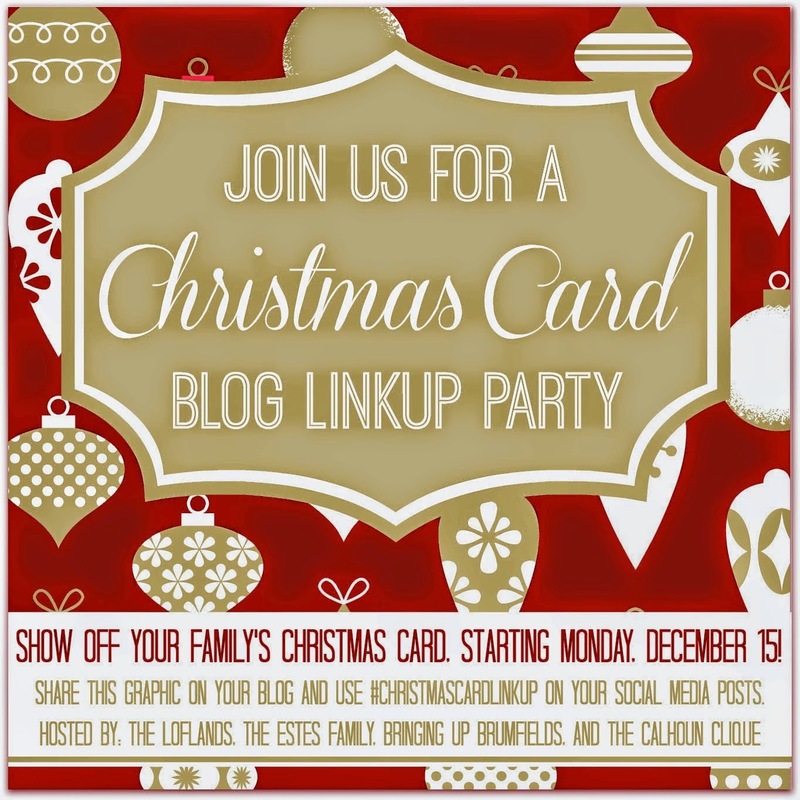 I am linking up with Lyndsey over at "Life.Laughter.Love Loftlands" to show off our Christmas card! When I was younger, I was always bugging my mom to do a Christmas card. She would always do one, but said she wouldn't write a letter. I couldn't wait to be married and have my own family to write a letter for each year! I love looking how things have changed over the years! My mom has saved each of our cards since the year we got married. This is our 6th Christmas as a married couple. I may have to go take pictures of them when I'm at her house and post them here! I absolutely love checking out everyone's cards, what they've been up to this year, and how their families have changed! Here is ours! Writing this year's letter was such a sweet experience. Last Christmas we sent our our pregnancy announcement as a New Year's card, and this year we got to announce the birth of our miracle baby. It took us a long time to get pregnant with her and stay pregnant with her. She is for sure our miracle baby and I am still in awe that she is here and she is all ours! Coming over from the link up!! I love your card & you sweet girl is just beautiful!! So glad I found your blog!! Raegan is such a beauty! And I love y'alls Christmas card. I meant to take a picture of ours before I sent them out, but I forgot. Sad day!!! What a beautiful baby girl!!! I love the pics on the front and the letter on the back! Thanks for joining the link-up!! And you should totally keep one copy of your Christmas cards and make a scrapbook with them - that's what I do and it's so fun to look back and watch your family change! So sweet! I have a friend that does something similar to this, and I always say I'm going to do it too. You guys are a beautiful family, and I'm so glad I found your blog! Merry Christmas from the link up! This Christmas card is nice. You can post it https://samedaypaper.org/blog/persuasive-essay on my website if you want. See you there!